Preheat your Yoder Smokers YS640 to 375ºF, set up for indirect grilling. 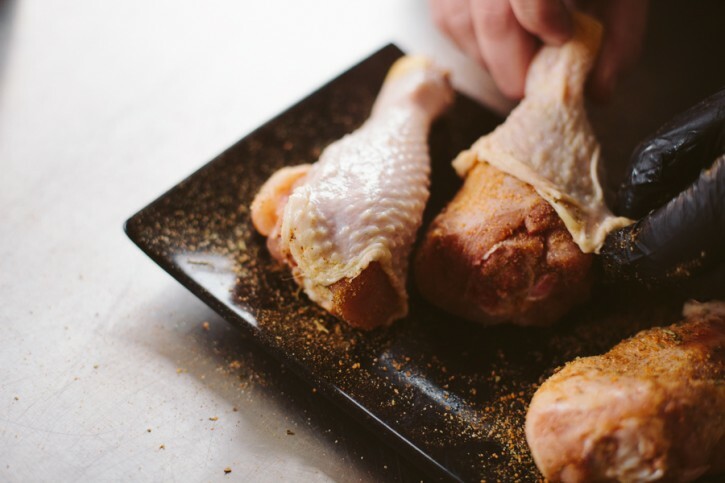 Remove the chicken skin from the meat. Season the meat with a 50/50 mixture of ChiliDawg Green Chile Seasoning and Cattleman’s Grill Steakhouse Seasoning. Wrap the skin back around the chicken. Use an instant read thermometer to check the internal temperature. Grill until the internal temperature reaches 165ºF. Remove the chicken from the cooker. Remove and discard the skin. Pull the meat from the bones. Shred or chop the meat. 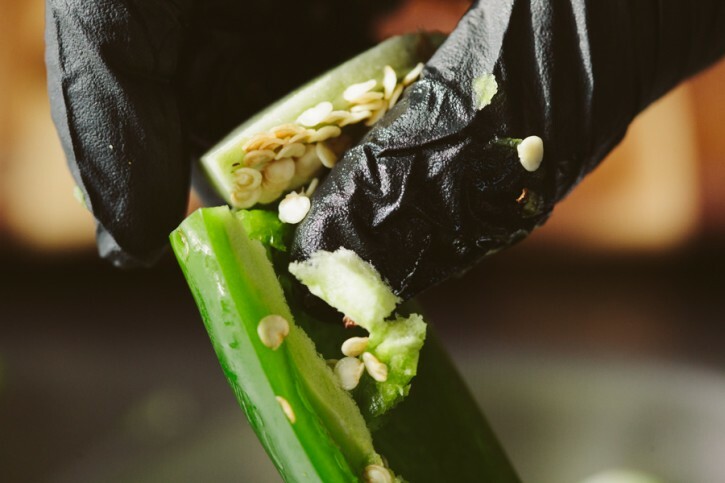 While the chicken is cooking, slice the jalapeños lengthwise and remove the seeds. 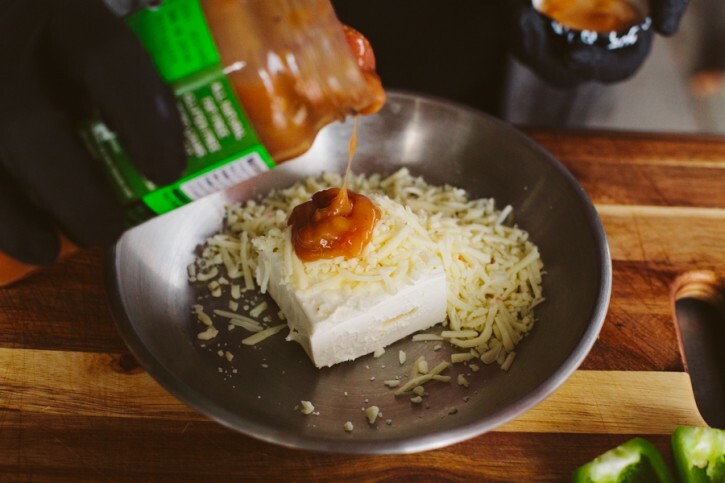 Combine chicken, cream cheese, pepper jack and 505 Southwestern Green Chile Sauce in a bowl and mix well. 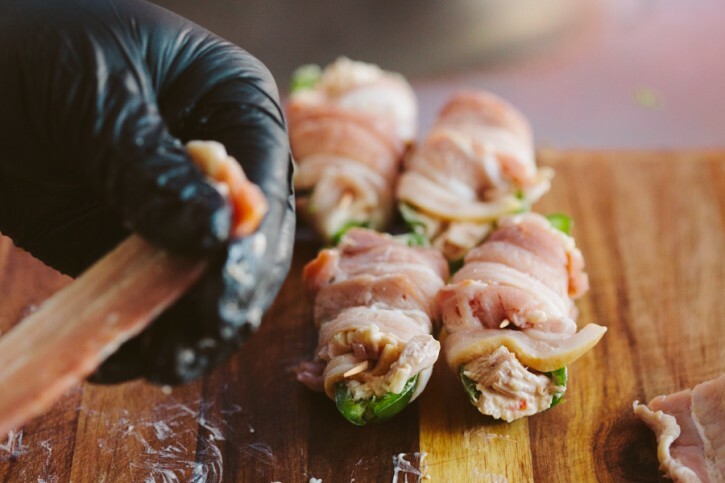 Fill up each jalapeño half with the cheese/meat mixture and wrap with a half slice of bacon. Grill the stuffed peppers for about 30 minutes, until the bacon is cooked through. 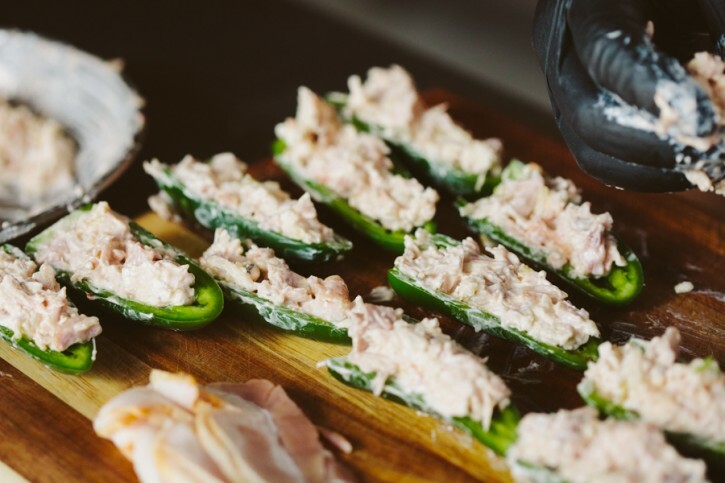 If there is one thing as popular as smoked meats here at All Things Barbecue, it’s peppers. It’s not an accident that we stock the store with all kinds of chile-centric marinades, rubs, sauces, glazes, salsas and more. 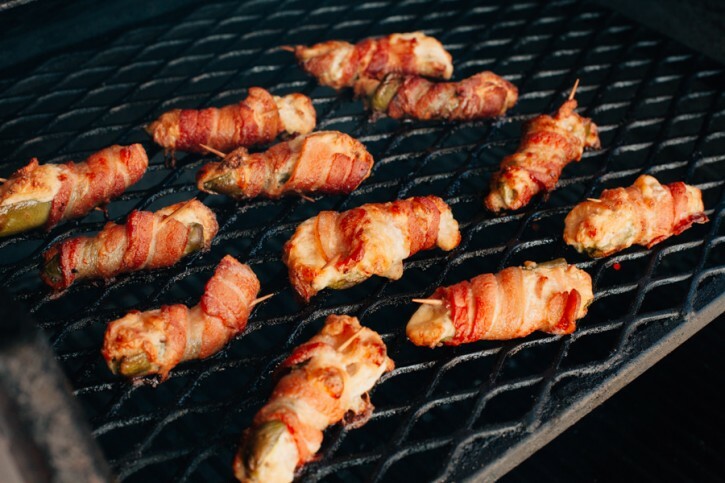 Our love for all things peppers is why we keep tinkering with jalapeño popper recipes. This time we’ve managed to jam more green chile into this green chile than ever before. 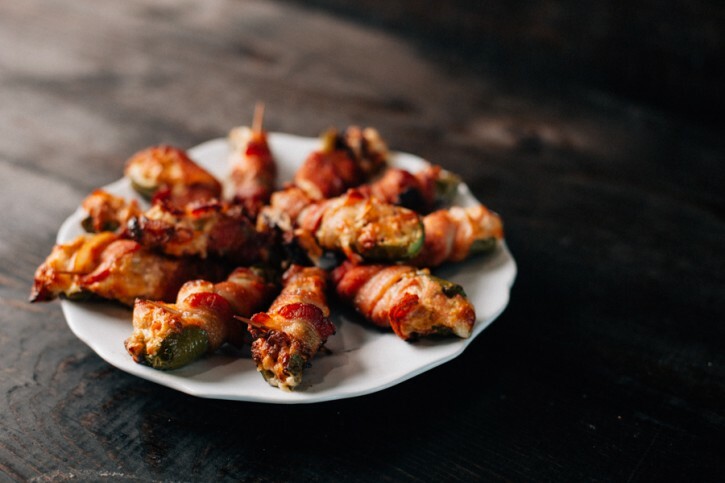 This time around, we’re including chicken in our poppers. We’ve chosen dark meat for its flavor and the way it holds on to moisture so well. 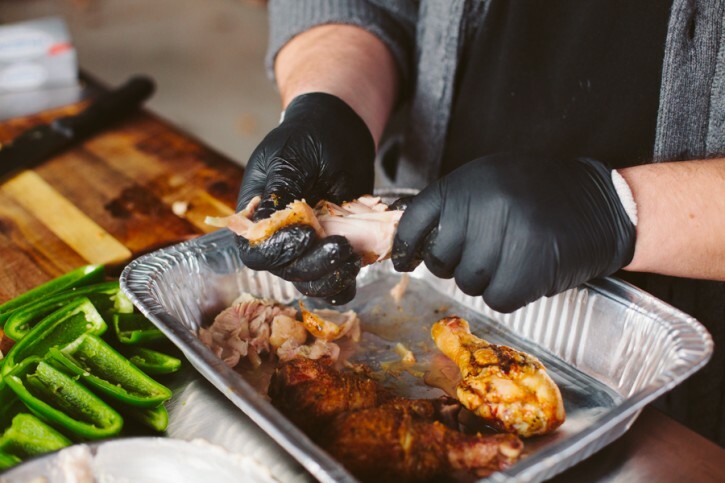 To amplify those characteristics, we’re seasoning the meat under the skin with ChiliDawg’s Green Chile Seasoning then pulling the skin back in place. The skin layer protects the meat from the heat and allows the fat under the skin to baste the meat as it is being grilled. Pull the chicken from the bones and shred and/or chop the chicken before adding it to the filling mixture. I gotta have more green chile! Enter 505 Southwestern Green Chile Sauce. We’re using the medium heat sauce, but you can go mild or hot, depending on your preference. And of course, wrapped in bacon! Jalapeños, pepper jack cheese, green chile chicken and green chile sauce. I think we did it. We green chiled the green chile. It’s getting cold outside. Serve up the heat at your next party!